Contact us if you have a specific request and we'll find what you are looking for. Soybean International is specialized in the soy-food marketplace and is focus to provide to customers worldwide quality products, competitive prices and unparallel customer service. We supply food grade soybeans for export shipment in bulk (totes or containers) or in 25 kilogram bags and to suit the requirements of the customers. We have Identity Preserved soybeans, non-GMO soybeans and access to different varieties such as White Hilum, Yellow Hilum and Dark Hilum. 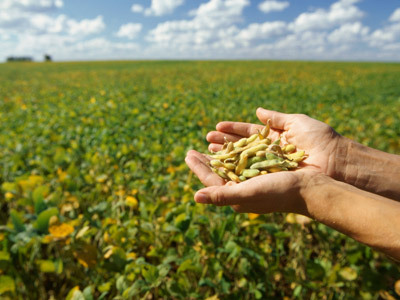 Our team and partners are sourcing quality soybeans from producers in multiple geographical regions in USA and Canada and all products have a strict quality control process. Our team will work with you to understand your product needs and in order to provide the best supply solutions. All growers and producers of non-gmo soybeans must grow certified seeds and follow a strict planting and harvesting protocol. When the soybeans are delivered to the facility they are graded for purity and colour and some samples are tested to confirm the non-GMO status and before we can offer it to exportation. The growers of IP soybeans in Canada and USA must grow the soybeans in a specified area of their farm and all planting and harvesting equipment needs to be cleaned and inspected before the planting and the harvesting. The fields are inspected during the growing season and the containers that are used for shipping IP beans are thoroughly inspected for cleanliness prior to loading. We also have access to large beans that are high in protein and that are especially well suited for Japan buyers and for other asian markets. 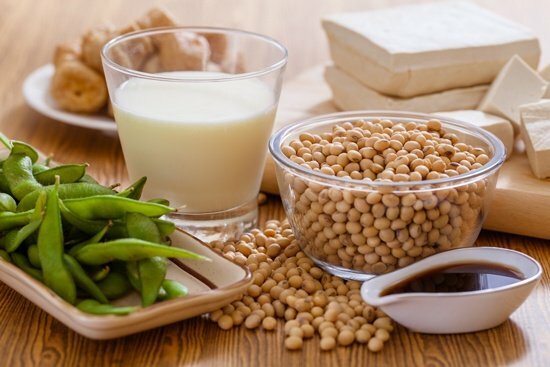 Soybean meal is used for soy flour and other products for human consumption (ex:soy milks, protein supplements, etc) and is distributed to food processing companies & plants across the world. The soybean oil is a vegetable oil extracted from the seeds of the soybeans and is mostly consumed as cooking oil. Please note that we can also supply Non-GMO Canola oil. Click here if you want to buy organic grains. Contact us if you wish to make a trade enquiry for food grade soybeans or products. We are able to match the buyer's needs with an appropriate soybean for their use.